Ekiti State Governor, Ayodele Fayose, has said that the school feeding programme of the All Progressives Congress-led Federal Government must be done without the proposed 40 per cent counterpart funding from States. 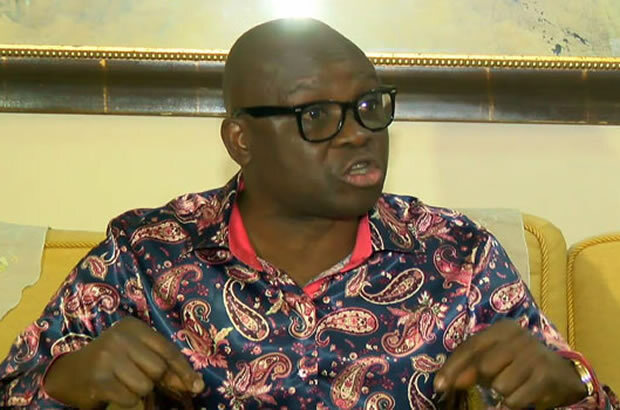 Ayodele Fayose, Ekiti State Governor, has said that the school feeding programme of the All Progressives Congress-led Federal Government must be done without the proposed 40 per cent counterpart funding from States. He said the Federal Government was already looking for an excuse for the impending failure of the programme by asking states to contribute 40 per cent to the scheme. The governor, who said his state was interested in the scheme, added that the school feeding programme was purely a contract between the APC-led Federal Government and Nigerians. Fayose in a statement issued on Sunday by his Special Assistant on Public Communications and New Media, Lere Olayinka, said Ekiti and other states in the country deserved to benefit from the programme without assisting the federal government with any 40 per cent counterpart funding. The governor said the APC should rather blame itself for failing to do a proper study on the practicability of the scheme before promising Nigerians instead of looking for who to blame for not fulfilling the school feeding promise. “The federal government knows that 80 per cent of the states lack the financial will to be able to contribute the 40 per cent counterpart fund for the programme and the time the programme eventually fails, Nigerians will be told that it failed because States did not key in to it. “As for us in Ekiti, we are interested in the programme because Nigeria belongs to all of us. But we won’t contribute any counterpart fund because the programme is solely an electoral promise of the APC and we were never consulted before the promise was made. “We don’t even have the capability to make any financial contribution even if it is 10 per cent because our financial condition is such that we can’t even pay workers salary,” Fayose said.